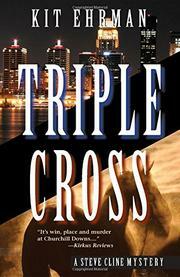 It’s win, place and murder at Churchill Downs in Ehrman’s third racing mystery (Dead Man’s Touch, 2003, etc.). In the lush Maryland horse country, Steve Cline wears two caps: the respectable, businesslike barn manager’s, and the deerstalker he hides in the closet. His girlfriend Rachel has had to be stern with him about his penchant for sticking his nose into matters that don’t concern him. Where Steve sees in sleuthing only a bit of harmless titillation, she sees possible risk addiction. That’s why he hasn’t told her how he’s spending his free time while they’re apart. Two weeks before the Kentucky Derby, Steve’s in Louisville helping out with Gallant Storm, his father’s Derby entry, pitching in to pamper and cosset a thoroughbred that has a real shot. But his workload leaves plenty of time for the mail-order private investigator course he’s taking, and soon he’s contending with an actual homicide, the death of a young woman whose naughty habits have left behind a lengthy suspect list. At once, Steve shifts into gumshoe mode, out-hustling a bevy of professionals who prove remarkably forbearing at being left at the post. The horse stuff is interesting, and it’s hard to dislike upright, charmingly feckless Steve, but the plot has holes, and the dawdling pace could have used a touch of the whip.